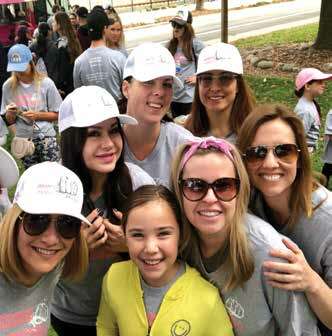 Sarah Holtzman’s loyal friends formed a walking group, Sarah’s Breasties, in 2015 while she was in the hospital recovering from a double mastectomy. 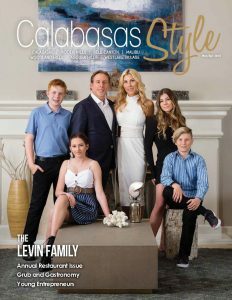 Their objectives were twofold: to honor Sarah and raise funds and awareness for City of Hope’s The Walk for Hope. Brave warrior Sarah has participated every year since, and her team has continued to grow from 55 to 92 strong. At that time, Sarah was living a full life as a wife and mother to three young children. She was at the pinnacle of her career as general manager of North America for a global technology company. She had already lost her mother to brain cancer in 2007, her father to complications from diabetes in 2013, and her sister unexpectedly in 2014. She feared she would be next. This year, an estimated 266,120 women in the United States will be diagnosed with invasive breast cancer. It is estimated that 41,400 deaths (40,920 women and 480 men) from breast cancer will occur this year. Breast cancer is the second most common cause of death from cancer in women in the United States, after lung cancer. Fortunately, since 1989, the number of women who have died of breast cancer has steadily decreased thanks to early detection and treatment improvements. “My family and friends are truly the epicenter of my world,” says Sarah. 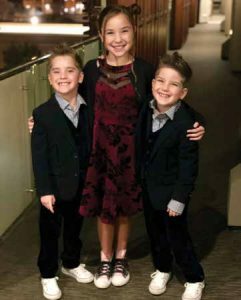 “Their kindness and generosity was overwhelming.” Raising awareness and funds for the City of Hope has given Sarah a platform to tell her story and help others. 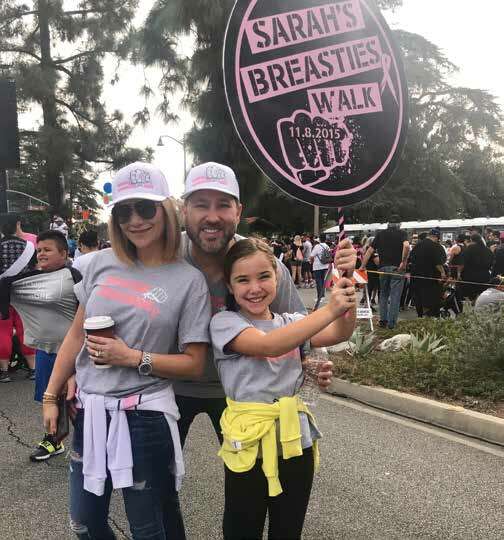 Sarah’s Breasties has already raised more than $65,000 towards research and treatment of women’s cancers. “I believe it is important to remember that when the chemo, radiation, and surgery ends, there is still a lot of healing to do,” says Sarah. She wrote the following [edited] letter to cancer to help herself, and hopefully others, heal. You came into my life uninvited, a threat to my existence. You challenged me and broke me down. You took my strength, my health, my hair, my self-esteem, my ability to keep up with daily activities, and at times, my dignity. There were dark moments where I felt I didn’t have anything left in me to fight. You threatened and scared my husband and my children. You spread disease through my body where my only option was amputation and to inject destructive poisons to fight you. I am no longer a complete woman in body, but in mind I have overcome the unspeakable. I am still standing, and I am a better woman today. I have confidence based upon survival and grit. I am still in the ring. You did not destroy me. I will continue to put up my fists because as long as I can ward you off, I am going to fight. I made it this far, and you are not welcomed back.